The mere thought of bankruptcy can send the heart rates of most debtors, sky-high. Debt itself can have such an affect on people and their families, that bankruptcy seems like the only legitimate way out. While bankruptcy is something which can be considered, it should only be looked upon as a last-gasp, last resort. It isn’t the end of the world, but it can still affect your financial prospects for years to come. With this in mind, let’s take a look at the top 5 ways to avoid bankruptcy. Sell, Sell, Sell: The number of people who go bankrupt, only to have their possessions repossessed, is quite staggering. While you might have a number of possessions you just don’t want to part with, the truth is that sentimental value must take second place in the face of the consequences of bankruptcy. By all means, sell what you are least attached to first, but in the end, it is far more important to raise the money than hold on to your belongings. Ask For Help: There is no shame is asking for financial assistance from your loved ones. Whether it is a friend, or a family member, it is far better to swallow your pride than to go through the difficult process of bankruptcy. 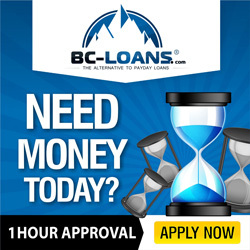 Furthermore, often your loved ones will be happy to lend a hand, while you will also be given money without the difficult interest rates associated with bank loans or last gasp options such as payday lending schemes. Consider Assets: While you should always consider selling your belongings, your assets are another story. Whether it’s a property or a car, you will have to weigh up the consequences of losing such an asset, carefully. If, for example, your house is co-owned with a partner, and it is legally safe from repossession should you go into bankruptcy, then you might want to keep your house and take the bankruptcy instead. Alternatively, you could downsize, sell your house, and even rent or buy another property in a loved-one’s name, if they are willing to do so. Hardship Programs: It may come as a surprise, but many credit card companies, and even some banks, have hardship programs. These are designed to help their debtors deal with what is owed by either renegotiating interest rates (lowering them) or reducing monthly bills by allowing the debt to be paid back over a longer time period. Contact your creditor to see if they offer a similar service. Debt Management: There are two forms of debt management; the first is preventative. This involves keeping track of all your debts, making sure that they never outgrow the amount of money you have coming in. Of course, this seems like common sense, but let’s face it, most people are in debt because they don’t keep track of this. The second form of debt management, is prescriptive. This will involve contacting a debt management service or company, and getting them to consolidate your debt into single monthly payments, while evaluating your financial situation in order to help avoid bankruptcy at all cost. Bankruptcy is not the end of the world, but depending where you live, it could significantly impact your ability to own a home or other asset for many years to come. The above list is by no means exhaustive, but it will help you evaluate what you need to work on to better your financial situation.